This large vintage serving tray was made by Couroc during the 1950s-1960s. 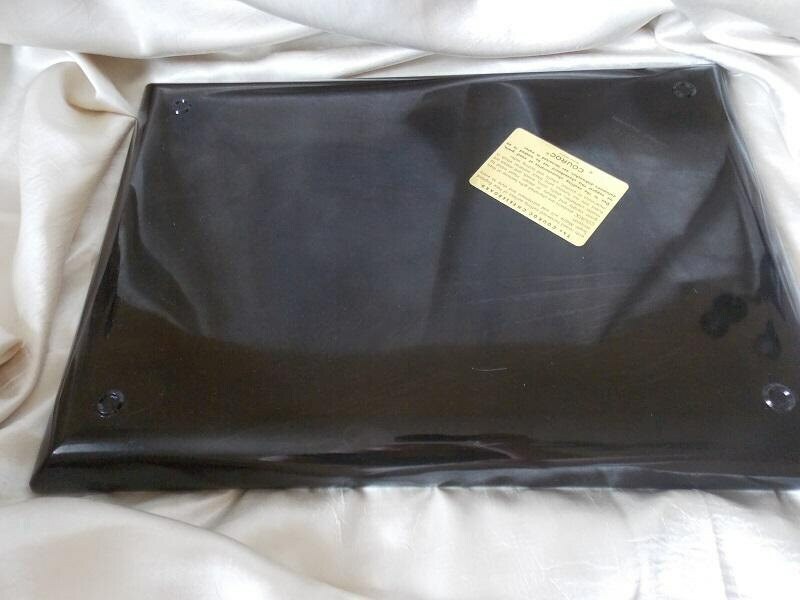 The tray is made of satin black phenolic which is " impervious to alcohol and boiling water." 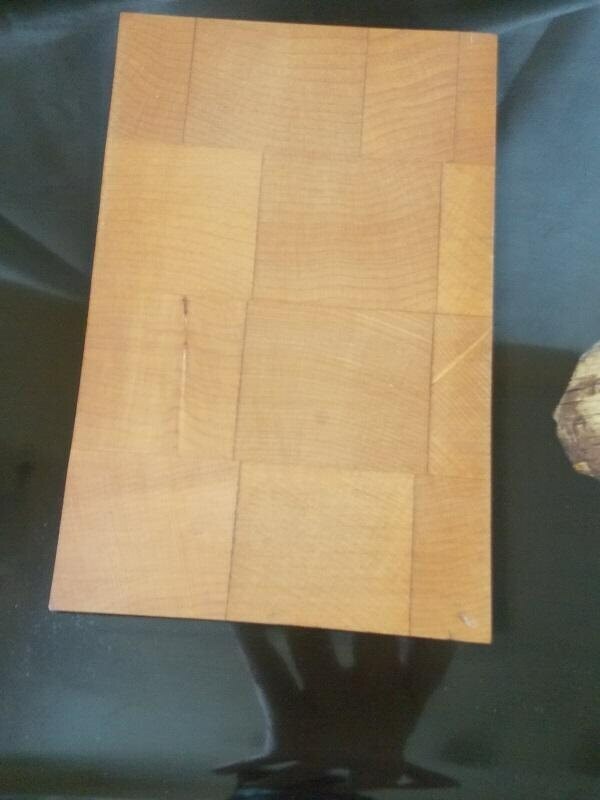 It features a sugar maple cutting board to one side. 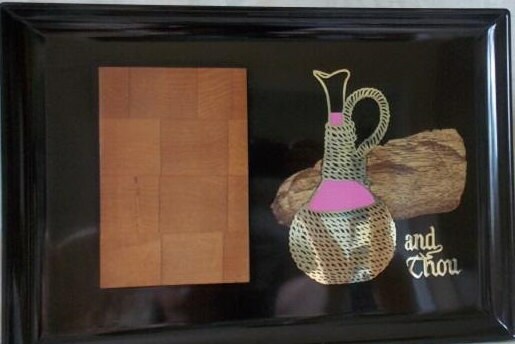 Beside the cutting board is a brass wine bottle design highlighted with a pink "wine" color. 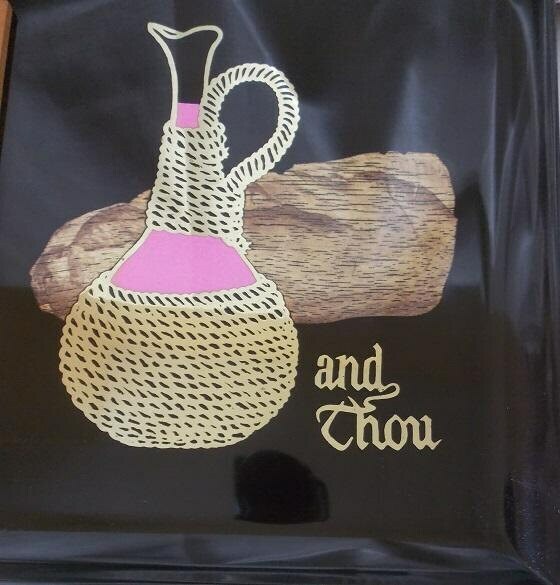 There is a wooded loaf of bread behind the wine bottle and the words "and thou" done in brass at the side of the bottle. This tray is rectangle shape. The tray has the original gold sticker and is marked "Couroc / Monterey, California" on the back. This tray is in excellent condition with no chips or cracks and very, very minimum scratches. 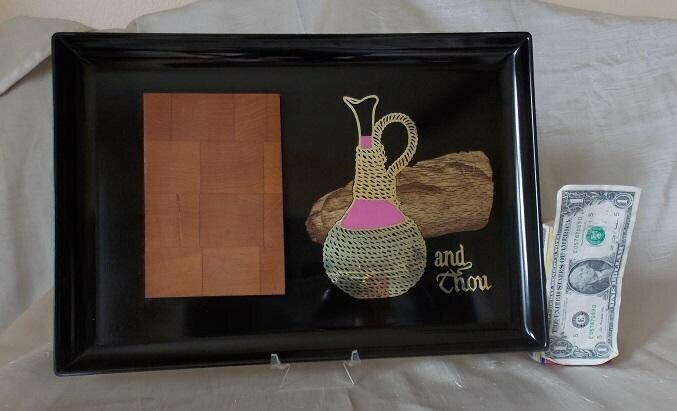 This piece has great color with no chips, cracks or flakes in the wood.